Two millennial tech upstarts have an idea, which is fine until it grows limbs and a thirst for internet fame. Frankenstein meets The Office in PITCo's 3rd stinging farce packed with rap and informative bee facts. How much do we own what we post? Can originality exist in the hive-mind? 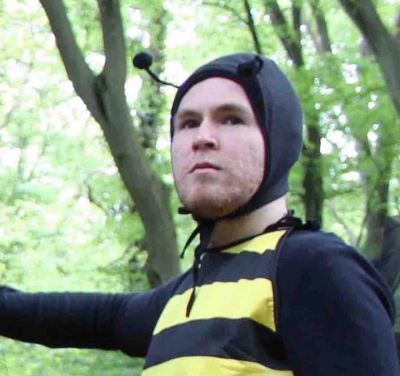 And just how funny is a bloke sat in a bee costume for an hour?